As today is the Day of the Finnish Language, we thought we'd celebrate some of the interesting facts surrounding this Uralic language. First of all, on this day Finns have at least two good reasons to celebrate their language. 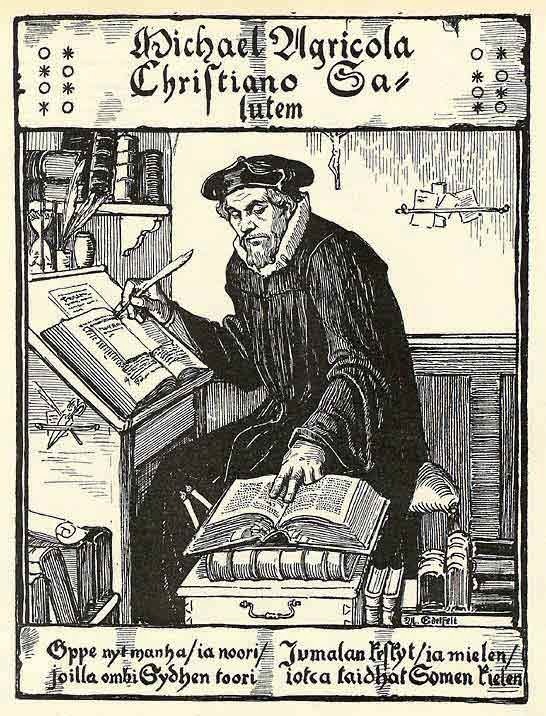 The first reason is that today is celebrates the life of Mikael Agricola, the man who helped formalise literary Finnish and is credited as its de facto founder and sometimes called the "father of literary Finnish". Mikael Agricola was also known Michael Olaui, Mikkel Olofsson, and Mikael Olavinpoika if you are referring to him in Finnish. He was a sixteenth-century clergyman who was born in Uusimaa, Finland, though Finland was actually part of Sweden at the time. From a young age his teachers noticed he was good with languages and it is suggested that he was a bilingual child that spoke both Swedish and Finnish. Owing to his abilities with languages, his teachers decided to send him to a Latin school in Vyborg, Russia, where he also trained to become a priest. During his time in academia, he took the name Agricola, meaning "farmer" after the vocation of his father, as was the style at the time. Agricola then went to Turku, Finland in 1528 where he became the scribe for the bishop there. After being ordained as a priest in 1531, Agricola was then sent to study in Wittenberg, Germany by the bishop of Turku. He focused his efforts on the Greek language, as the prominent language of the bible, and in 1537, he began translating the New Testament into Finnish. He returned to Turku in 1539 and became a rector. Following the death of a bishop in 1554, Agricola was consecrated as an Ordinarius by Gustav Vasa, the king of Sweden, meaning that Agricola was effectively the bishop in all but title. In 1557 Agricola was part of a delegation that headed to Russia to negotiate the end of the Russo-Swedish War. Though the negotiations were concluded and put into effect on 2 April 1557, on the way back Agricola fell ill and died in Uusikirkko, then part of Finland, though now part of Russia. Since the date of Agricola's birth is unknown, the day of his death and his status as the "father of literary Finnish" is one of the reasons that today is the Day of the Finnish Language. We'll be back on Friday with the other reason. See you then!